I believe this can be a good parenting model as well. Sometimes, we take a lot of pictures, but hopefully we are leaving the footprints of our legacy on the lives of our children. It is so true. 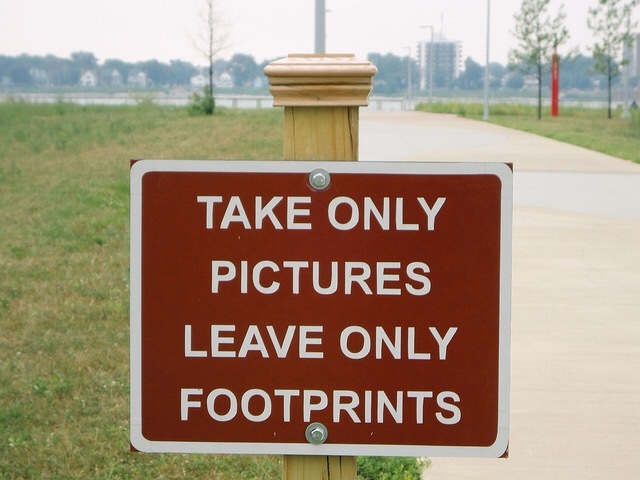 We leave footprints regardless of our attempts not to. If we will accept this fate early on, I think we can make even more deliberate attempts to make a deeper impact on our children’s hearts. They are watching. They see who we are when we think no one is looking. They hear us even when we are whispering…sometimes, even more so in those moments. Our character plays a vital role in their lives; yet, it is only for a few fleeting moments. They soon find their own way, do their own things, and, for good or bad, the footprints we leave now will effect who they become. This truth isn’t only for our birth children alone. There is a host of generations quickly coming behind us. What will we leave them? What will we say? Will we win them, or will we toss them away, believing they weren’t worthy of our cause? Those stepping forward will come with or without us. They will keep marching forward. Time does not stop simply because we wish it to. If we refuse to lead them, someone else will, and then, we will be the ones to weep. It is our choosing. It is within our grasp; yet, it is just like a lifeline thrown to the drowning. If we don’t take hold, the rescue can be lost, and death will eventually come. We must decide who, when, how, and we must do it quickly. If we turn away, they will keep advancing with their drum beat deafening our ears. We may be able to hold the line, or we may just be trampled under their feet. *Note: I do not own nor possess this picture. Simply found through google images.